The British Virgin Islands are home to numerous incredible animals. Iguanas can be discovered basking in the sun throughout the islands which makes a popular picture for travellers. 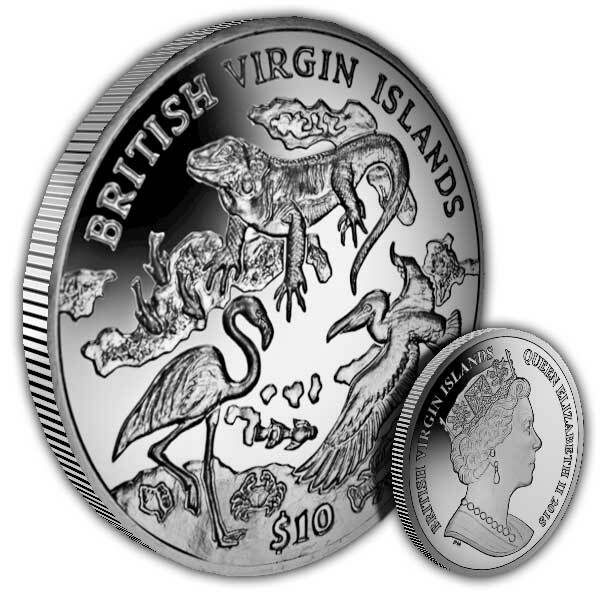 The British Virgin Islands is a British Overseas Territory, situated in the Caribbean and are part of the Virgin Islands island chain. The Islanders are considered British Citizens and have actually been ruled by the British monarchy since Tortola was taken from the Dutch in 1672. The obverse includes the Pobjoy unique effigy of HM Queen Elizabeth II in remarkable detail. 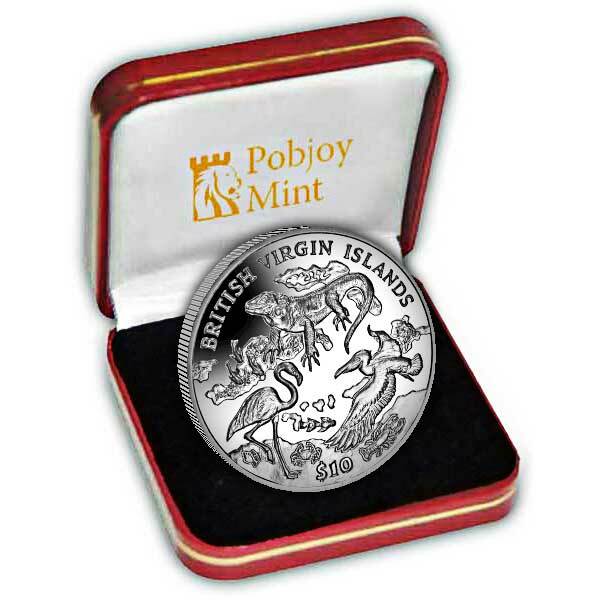 In order to keep the exclusivity of this piece, only 2,000 of the Proof Sterling Silver coins will be produced.